If you own or manage a martial arts gym you can create a dedicated gym account on Combat Academy and use this to engage with your students and potentially reach new members as well. Any activities or posts you publish using this gym account will automatically appear in your members My Gym feed provided they have set the name of their primary gym to match your gym. In this short guide we explain the steps involved in setting up a gym account. The screenshots included are taken from our mobile app, but the web app on-boarding is very similar. If you already have a personal account on Combat Academy, log out before you proceed. The log out option can be found on the main mobile menu accessed by pressing the ≡ icon or by clicking your profile image in the header of the web app. Decide which email address or social ID (Google/Facebook) you want to use to establish the gym account. If you already have a personal Combat Academy account, you should use a different email address or social ID for the gym account. If you are going to use an e-mail address to sign up, make sure you have access to this inbox as you will receive a confirmation email that you have to respond to after signing up. Start the mobile app and touch the Sign up button. Complete the 4 on-boarding screens. (1) Type the name of your gym in the First Name field. (2) Leave the Last Name field blank. (3) Enter an email address that you have access to (you will receive a confirmation email that you have to respond to within 72 hours of signing up). Note that if you elect to sign up with a Facebook or Google account you will not be asked to provide a name. Instead the name used will be the same as the name you use on Facebook or Google. However, you can change that once you have completed the on-boarding. See Step 3 below. The second screen will allow you to check the gym name and email entered. If you need to make any changes, click the go back link. If OK, click the Continue button. (1) Check the Display Name (no changes should be necessary). (2) Start typing the gym Location and select the desired place name from the dropdown. (3) Select Gym as the Type of Account and click Continue. On the fourth screen touch the text input field for Primary Gym or Club (1). This will open the screen shown below. Start typing the name of your gym and (assuming it has a Google My Business Profile) it should show up in the drop-down list. If your gym has a common name you may need to type in a location as well. Select your gym and touch the back arrow. Check that the Gym name is correct and then select the primary sport you offer at your gym (2). You can add additional sports in account settings once you have completed the sign up. Click Continue to complete the sign up. You have now completed the sign up (remember to respond to the confirmation email within 72 hours) and you will be shown the account settings screen, part of which is shown below. If you need to make changes to your gym name you can do that here. Again, we recommend that you type the full gym name in the First Name field and leave the Last Name blank. We also recommend that you upload your gym logo as your profile image and that you enter a description of your gym (anything you want) in (1) above (we are working on improving text entry and formatting for the Bio section). If you Gym offers multiple sports, you can add these in (2). On the Privacy and Notifications screen (3) you can configure your default privacy settings and preferences from email and app notifications. Every gym account will have the text [GYM] appended after its name. This makes is easy to tell a gym account apart from a regular athlete account. Also, a check mark after the gym name indicates that this is a “verified” gym account. Currently we make the first sign up for each gym the verified account. 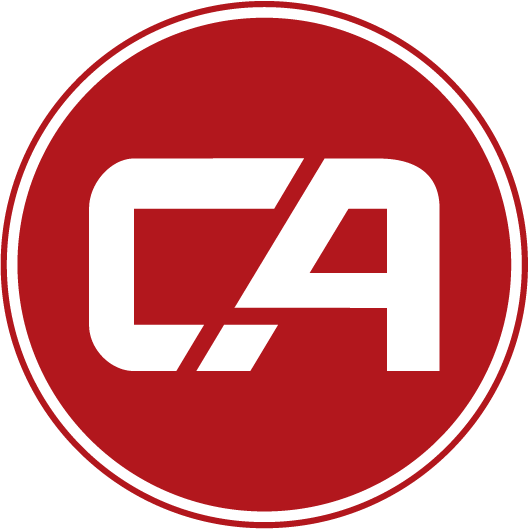 If you are the owner or manager of a gym and discover that someone else has created an account for your gym and received the verified mark, you can contact us at support@combat.academy (or raise a ticket using our support portal). We will then work with you to confirm that you are the true owner/manager of the gym and change your account status to verified. Only activities and posts created by verified gym accounts will appear in the My Gym feed for that gym.